For the hardware case this is certainly unlikely especially with the availability and low pricing of the STM8S Discovery boards. As for the software, well there are at least two environments available and a number of compilers and assemblers. The objective of this post is to describe the environment I am using and how you can convert the hardware and software setup to work with the STM8S Discovery board. By converting the application to this board we will cover the principle steps which should be followed in order to convert the application to run on any of the STM8S family of microcontrollers. We will also cover some of the shortcut keys in the development environment in order to help the novice/infrequent user of the environment become a little more productive. For the purposes of this exercise we will look at the Simple GPIO example as this application is small and simple. The first thing we will do is look at the hardware I am using and then compare this to the STM8S Discovery board. Some wire to wire it all up. To put this together, place one of the 1uF capacitors between VSS and VCAP and a 100 nF capacitor is placed between VDD and VSS. An additional (this is the optional capacitor) 1uF capacitor is also placed across the +3.3V and ground of the power supply. The ST-Link/V2 should be connected to 3.3V and ground with the SWIM and NRST lines connected to the appropriate pins on the STM8S. As you can see, all of the work setting up the hardware has been done for you :). You will also note that the chip used is the STM8S105C6T6. This chip is a different series to the one I am targeting. It is also a larger package giving the developer access to more ports etc. This board also has the ST-Link programmer built into the board. The only thing we need in order to use this board is a USB cable. The development environment we are using is the IAR Kickstarter environment. This allows the creation of small applications (8 KBytes) for the STM8S. At the time of writing, the licence allowed the creation of fully functional applications with no commercial restrictions on the applications you create. The only requirement for the developer is that you register for a licence key. We will not cover setting up the environment as this is a standard Windows installer. If you have decided to use this environment then you might want to check out Custom IAR Templates for STM8S Projects. Arron Chapman has also put together some additional files and templates together. These are available in his posting Custome IAR STM8S Template. PD_ODR_ODR5 = 1;    // Turn Port D, Pin 5 on. PD_ODR_ODR5 = 0;    // Turn Port D, Pin 5 off. 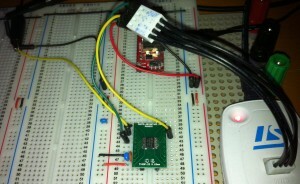 If you are using the STM8S103F3 chip then the application should compile and deploy OK. So now let’s consider what we need to do to make this run on the STM8S Discovery board. The first thing to note is the include file we are using. This should match the chip you are using in your environment. You can find a full list of the include files supplied with the development environment in the inc directory of the installation. On my machine these can be found in C:Program Files (x86)IAR SystemsEmbedded Workbench 6.0 Kickstartstm8inc. If you browse through this directory you will find a file iostm8s105c6.h. This is the file you should be using for the STM8S Discovery board. So make the change to the include file and we can now compile the application (press F7). The application should compile without any warnings or errors. Right click on the project name in the left hand panel (Simple GPIO – Debug) and select Options. 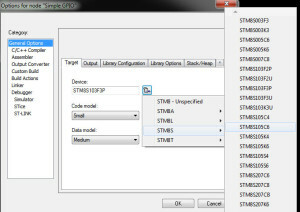 Look for the Device text on the dialog which appears and click on the button to the right of the text box which contains the text STM8S103F3P3 and follow the popups which appear and select the STM8S105C6 chip. These options should be familiar to any software engineer. Ctrl-D Compile the code and deploy to the device. Shift-Ctrl-D Terminate the debugging session. F7 Make the project, do not deploy. F5 In debug mode, causes the application to run until the next breakpoint is reached or the application terminates. F10 In debug mode, execute the currently selected statement and then break at the next line of code. This will step over any method calls. F11 As with F10 but this time step into any method calls. Shift-F11 Step out of the current method being debugged and return to the calling method with a breakpoint set accordingly. Shift-Ctrl-R Reset the debugging environment setting a breakpoint on the first line of code and restart the application. Ctrl-K Comment out the currently selected lines of code. Shift-Ctrl-K Uncomment the selected lines of code. 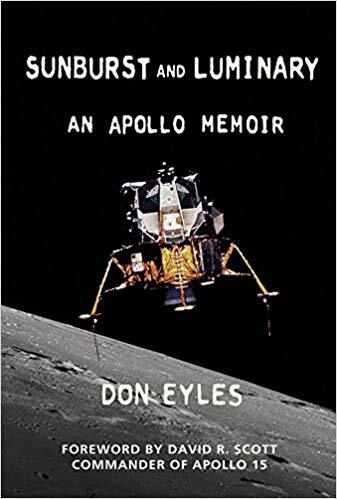 Hope you have found this useful and continue to enjoy The Way of the Register series. In a recent post we looked at the generation of a square wave signal using a timer and the update/overflow interrupt. There we generated a 20 Hz signal from the STM8S by toggling an output port using direct access to a port configured as an output port. In this post we will go one step further and use the capabilities of the timer to generate the pulse directly. We will also look at how we can manipulate the registers to allow the generation of a PWM pulse from the STM8S by simply changing the register values used to configure the port. It is important that you read and understand the previous post Using Timers on the STM8S before continuing further as we will be using much of the knowledge in that post here. So the project definition here is simple to start with, we will generate a square wave without using GPIO ports. We will then follow up on this by changing the values in the registers to generate a PWM signal with a duty cycle which can be defined by the programmer. These two registers are analogous to the TIM2_ARRH and TIM2_ARRL registers. TIM2_ARRH/L are used to determine the period of the signal whilst TIM2_CCR1H/L are used to determine the duty cycle of the signal. Let us assume that we are using the value of 50,000 for TIM2_ARRH/L as in the last post then by setting TIM2_CCR1H/L to 25,000 will give a duty cycle of 50%. Similarly, setting TIM2_CCR1H/L to 12,500 with give a duty cycle of 25% (or 75%) depending upon the register settings for active high/low – see TIM2_CCER1. We will be using two bits in this register, Capture/Compare 1 Output Polarity (CC1P) and Capture/Compare output Enable (CC1E). So let’s start with the easy one, CC1E. This simply enables or disables the capture/compare for channel 1 of Timer 2. Setting this to 1 enables the mode, setting this to 0 disables the mode. On to the difficult bit of this register, namely the output polarity (CC1P). This bit determines the polarity of the active state. A value of 1 configures the active state to be low whilst a value of 0 configures the state to be high. It is important to note here that the meaning of active is different from the meaning of a high or low signal. Let us consider a simple example, namely a PWM signal with a duty cycle of 50%. So, for 50% of the time the signal is logic 1 (high) and for 50% of the time the signal is logic 0 (low). Or another way of looking at it is that if we define high to be active and low to be inactive then for 50% of the time the signal is active and 50% of the time the signal is inactive. CC1P allows us to define what we mean by active and inactive. Once we have the application written we can change this value and see the effect on the output. This register allows the application to change the way in which the channel is configured. In this case we will only be concerned with setting this to one of two values, namely 6 or 7. 110 – 6 PWM Mode 1 In up-counting mode, the channel is active if the counter is less than CCR1, otherwise it is inactive. In down-counting mode the channel is inactive when the counter is greater than CCR1, otherwise the channel is inactive. 111 – 7 PWM Mode 2 In up-counting mode the channel is inactive as long as the counter is less than CCR1. The first two things we will do is steal some code from previous posts, namely the Configuring the System Clock and Using Timers on the STM8S. We will use the InitialiseSystemClock and InitialiseTimer2 methods respectively. The next thing we need to consider is how we set up the timer. We will continue to use Timer 2 so we can again use some of the code from previous posts. However, we need to make a few modifications to SetupTimer2 method. So let’s start by having a 25% duty cycle (25% high, 75% low). At the moment we are not too worried about the frequency of the signal so let’s work with TIM2_ARRH/L set to 50,000 as in the previous post. This means that we want the output low for 75% of the time (37,500 counts) and high for 25% of the time (12,500 counts). Time for the first decision, let’s use PWM mode 1 (TIM2_CCMR1_OC1M = 6). Given the default mode (down-counting) and looking at the register definition for TIM2_CCMR1_OC1M we want to define active as a logic 0 and inactive as a logic 1. So this means we need to set TIM_CCMR1_OC1M = 0. TIM2_CCER1_CC1P = 0;    //  Active high. TIM2_CCMR1_OC1M = 6;    //  PWM Mode 1 - active if counter < CCR1, inactive otherwise. As you can see, the polarity allows us to change what we mean by active. As always, the source code for this example is available for download. In previous posts you may have seen an example program where we generate a 20Hz signal using the overflow interrupt on Timer 2. Here we will translate the post to use direct register access rather than use the STD Peripheral Library. So the project definition is simple, output a regular signal (20Hz with a 50% duty cycle) on Port D, Pin 4 (i.e. pin 2 on the STM8S103F3P3). Set up the output port to generate the signal. 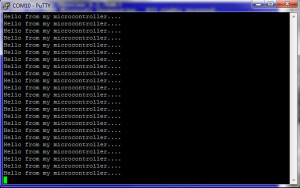 The Interrupt Service Routine (ISR) then has one very simple task, toggle the output port and wait for the next interrupt. where fcounter is the frequency of the signal being used as a clock source for Timer 2. TIM2_PSCR is a 4 bit number and this restricts the value of the prescalar to 1 to 32,768. We will come back to this formula when we write the software in order to calculate the prescalar we will need to generate the 20Hz clock signal. We will be using the counter as a simple up/down counter. We will be loading this register with a counter value which the timer will count up to / down from. An interrupt will be generated when the counter value has been reached (for up) or zero is reached (for down). The counter will then be reset using the values in these two registers. The only important thing to note about these two registers is that TIM2_ARRH must be loaded with a value before TIM2_ARRL. This register determines which interrupts Timer2 can generate. In our case we only need one, namely the update interrupt. This is generated when the counter value has been reached. The interrupt is enabled by setting TIM2_IER_UIE to 1. The only bit we will be interested here is the Counter ENable bit (CEN). This will be used to start the counter. This register gives us status information about the timer. There is only one bit we are interested in for this exercise and that is the Update Interrupt Flag (UIF). This bit determines if an update interrupt is pending. The bit is set by hardware but crucially it must be reset by software. When we enter the ISR, this bit will have been set by the hardware controlling the timer. On existing the ISR the hardware will check the status of the bit. If it is set then the interrupt will be generated once more. This means that if we are not careful then we can end up in a cycle of generating an interrupt, processing the interrupt in the ISR and then generating the interrupt again ad infinitum. It is therefore crucial that this bit is cleared before the ISR is exited. One of the first things to note is that as with all of the examples we will discuss in this series, we will assume a clock running using the internal oscillator and set to 16MHz. The code which will deal with the interrupt has a very simple job to do, namely toggle the pin we are using to generate the output pulse. One thing to note it that as we are toggling the pin in this method we will effectively be halving the output frequency of the signal which has been generated. Lets look at what is happening. ISR 1 – output is low we will make the output high. The frequency of the output for a regular signal is determined by the amount of time between the two rising edges of the output. So in our case, the time is double the frequency of the calls to the ISR as we toggle the output in the ISR. This is important and will be used in the calculations we make regarding the timer settings later. The remainder of the code looks similar to that used in the external interrupts example presented in an earlier post. PD_ODR_ODR4 = !PD_ODR_ODR4;     //  Toggle Port D, pin 4. 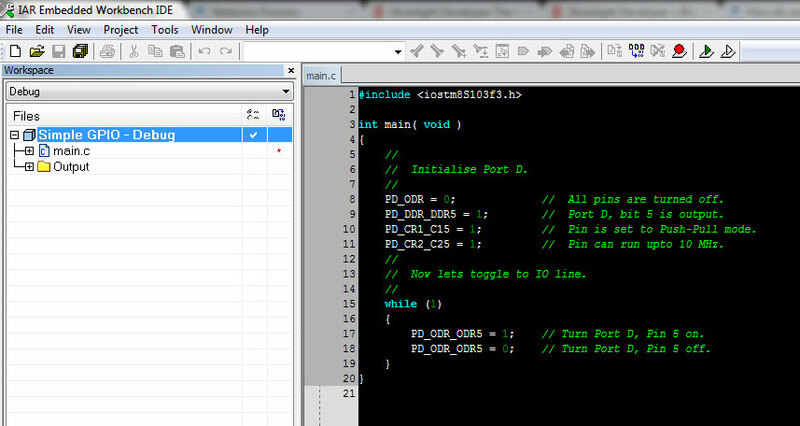 If you have been following the series, the next piece of code should also be familiar (see the Simple GPIO example). We will be setting up Port D, pin 4 to be an output port. This is the pin which will output the signal we will be generating. PD_DDR_DDR4 = 1;        //  Port D, pin 4 is used as a signal. The next method resets Timer 2 and put it into a known state. This simply requires resetting all of the Timer 2 registers to 0. //  Reset Timer 2 to a known state. TIM2_CR1 = 0;               // Turn everything TIM2 related off. The next thing we need is a method which sets the Timer 2 to generate the interrupt. This is where we need to start doing some calculations. So, if we take 400,000 and divide by 50,000 (for simplicity) then we have a factor of 8. So, given that the counter is a 16-bit counter then the counter should be 50,000 and the prescalar should be 3 (23 = 8). //  Setup Timer 2 to generate a 20 Hz interrupt based upon a 16 MHz timer. TIM2_PSCR = 0x03;       //  Prescaler = 8. A quick look at the measurements shows that this application is generating a 20Hz signal. If you don’t have a scope then you can hook a LED (use the LED circuit from the previous article on external interrupts) through a transistor. You should be able to see the LED flicker as it is turned on and off. You could also slow down the rate of the pulses by looking at changing the prescalar or adding a counter. As always, the source code is available for download. We have previously seen how to configure the STM8S using the STD Peripheral Library using both the high level API and the slightly lower level register access. In this post we will use the definitions in the iostm8s103f3.h and we will also have a look at the registers which control the UART ending with a program which uses the UART to send data to a terminal emulator on a desktop computer (in my case a PC). We must remember that while this article looks at low speed communications with a PC, the UARTs on the STM8S have a variety of uses covering other protocols other than those discussed in this article. The definition of the problem is simple, allow the STM8S to send debug information to a terminal emulator running at 115200,n,8,1 (for all of those who remember DOS MODE commands for serial communication). It should be noted that UART1 is not available on the STM8S Discovery board and so UART2 is used instead. set the clock polarity etc. It is important to remember that transmission and reception must both be disabled before we start to change these registers. The number of data bits is selected using the M bit of CR1. This can be set to either 8 or 9 bits. We will be using 8 data bits and so will need to set UART_CR1_M to 0 (setting to 1 would enable 9 data bits). To set the parity we would set PCEN and PS. In our case we are disabling parity so only need to worry about PCEN (Parity Control Enable). Setting this bit to 0 will disable the parity calculation. Next, we need to consider the clock settings. 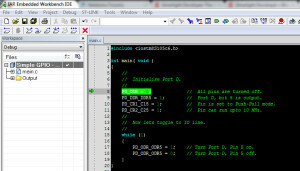 UART_CR3_CPOL determines the idle state of the clock, 0 sets the clock low when idle, 1 sets it high when idle. UART_CR3_CPHA determines if the data should be stable on the rising or falling edge of the signal. Setting this to 0 means the data is set on the rising edge of the clock signal. Setting this to 1 means the data is ready on the falling edge of the clock signal. UART_CR3_LBCL determines if the clock pulse for the last data bit is set to the clock pin. A 0 means the last clock pulse is not generated while 1 means that the pulse is generated. When setting these registers it is important to remember to set BRR2 before setting BRR2. In our case we do not need to enable the output of the system clock or reception. 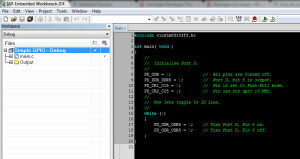 The software below will enable these anyway in order to provide a generic serial initialisation method which can be using a variety of circumstances. 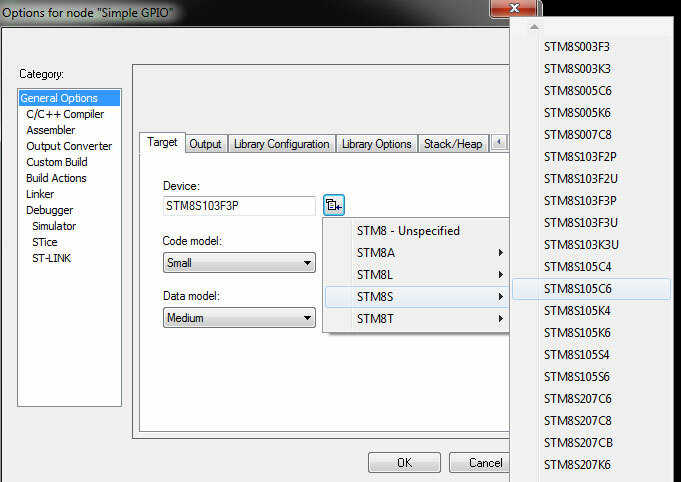 Moving on to our software, we will need a standard STM8 project for the microcontroller you are using. I am using the STM8S103F3P3 and the default project I set up in a previous article. This code makes a fundamental assumption, namely that you have configured the chip and your circuit to run at 16 MHz. I did this by setting the chip to use the internal oscillator as its clock source and using a prescalar of 1 (see the previous article on setting up the system clock for more information). The code for this is in the InitialiseSystemClock method. The next step is to configure the UART. This is performed in the InitialiseUART method. //  Setup the UART to run at 115200 baud, no parity, one stop bit, 8 data bits. //  Important: This relies upon the system clock being set to run at 16 MHz. //  to the UART1_SR register followed by a Read to the UART1_DR register. //  Reset the UART registers to the reset values. //  Now setup the port to 115200,n,8,1. UART1_CR1_M = 0;        //  8 Data bits. UART1_CR1_PCEN = 0;     //  Disable parity. UART1_CR3_STOP = 0;     //  1 stop bit. UART1_BRR1 = 0x08;      //  based upon a 16 MHz system clock. //  Disable the transmitter and receiver. 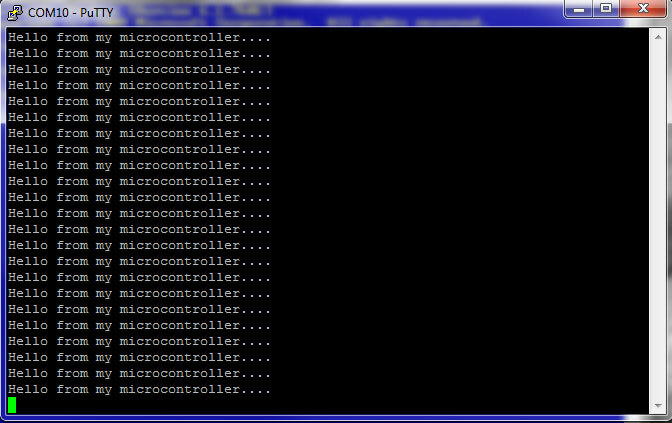 UART1_CR2_TEN = 0;      //  Disable transmit. UART1_CR2_REN = 0;      //  Disable receive. //  Set the clock polarity, lock phase and last bit clock pulse. //  Turn on the UART transmit, receive and the UART clock. //  Send a message to the debug port (UART1). UART1_DR = (unsigned char) *ch;     //  Put the next character into the data transmission register. while (UART1_SR_TXE == 0);          //  Wait for transmission to complete. ch++;                               //  Grab the next character. And finally we need a main program to control the application. The full application code can be downloaded from here. Simply unzip the files and open the project with IAR. The application can be downloaded to the chip by pressing Ctrl-D. Once downloaded to the microcontroller press F5 to run the application. This application has been tested on my reference platform, the Variable Labs Protomodule and the STM8S Discovery board. Adding these methods to you project should allow you to generate debug output from an application running on the STM8S or communicate with devices which are controlled using a serial communication protocol. Create a circuit which can register when a button has been pressed. Should be simple, so let’s give it a go. For the STM8S we need the STM8S103F3 connected to 3.3V and ground. We will also need to add two ceramic capacitors, a 100nF between Vss and Vdd (pins 7 and 9) and a 1uF between Vss and Vcap (pins 7 and 8). This circuit will have the pin held high until the switch is pressed. All we need to do is to detect the falling edge of the input to the STM8S and we have a way to detecting when the user presses the switch. One thing to note here is that we will be ignoring switch bounce and so we are likely to get the odd spurious message. We will come back to this later. By setting a GPIO pin connected to the base of the transistor to high we can turn on a LED. Putting it all together, we connect the switch to PD4 and the LED to PD3. //  Process the interrupt generated by the pressing of the button on PD4. PD_ODR_ODR3 = !PD_ODR_ODR3;     //  Toggle Port D, pin 3. PD_CR1_C14 = 0;         //  PD4 is floating input. EXTI_CR1_PDIS = 2;      //  Interrupt on falling edge. EXTI_CR2_TLIS = 0;      //  Falling edge only. The first two lines declare the method as an Interrupt Service Routine (ISR). The #pragma vector = 8 tells the compiler which interrupt this method will be servicing. In this case, this method will be called to process the interrupts for Port D. We will look into ISRs a little more in a later post. In this case the switch is held down and then released. Notice the spike; this is caused by the switch bounce. 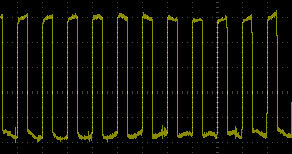 If the signal is large enough then the microcontroller will think that the switch has been pressed twice rather than once – in fact that is what happened in the above video. There are a few ways to solve this but I’ll leave that as an exercise to the reader. You can find the full source for the above project here. This application has been tested on tmy reference platform, the Variable Labs Protomodule and the STM8S Discovery board. This is the thought which started me delving into the way in which IAR stores it’s templates and asking if I could make my own. Guess what, in that directory I found three directories and three files with the extension .projtempl. For each project name in the default projects (asm, C, C++) there was a matching directory and matching file. We may be in luck. So my guess is that the displayname and description fields determine what is shown to the user and the files section tells the environment what files are to be included in the project. Looking inside the main.c file we find the default code which is placed inside the main.c file which is created for you when you ask for a new C project. If we put all of the pieces together, I think that we can create out own project templates using the default C project as an example. Note that I am using the C project type as an example as it is the only high level language version supported by the Kickstart edition of the IAR programming environment for the STM8S processor. So let’s give it a go and see what happens. So the first thing to do is to decide on the name of the template we are creating and copy the files. I decided on the imaginative name of My Default C Project for the new template. Catchy isn’t it. One of the first problems I encountered was the fact that this is a system directory as far as Windows 7 is concerned and so I had to modify the permissions. If you hit any problems with this step of any others you need to make sure that you change the permissions to allow editing and creating files. I came across this on a few occasions. If you don’t know how to do this then Google your OS to find out how to change permissions. I gave Full Control access to myself for the duration of the task and changed the permissions back afterwards. So at this point I have a My Default C Project.templproj file and a My Default C Project directory. The directory contains the same files as the C directory. Next step, edit the templproj file and change the displayname and the description entries. I made the displayname match the directory and project file names. The description field expands on this a little more explaining what is included in the project. Next step, fire up IAR and create a new project. Guess what…. Selecting the new project prompts me to create a new workspace (which I do) and then opens up the main.c file. Sure enough, it matches the code I have entered into the new template. Next step is to try and edit the templproj.ewp file in the C directory and set up some of the default options. For instance, I always use ST-Link/V2 to deploy to the STM8S chip. Maybe try adding a few files to the directory and the .projtempl file. The rest, as they say, is left as an exercise for the reader.